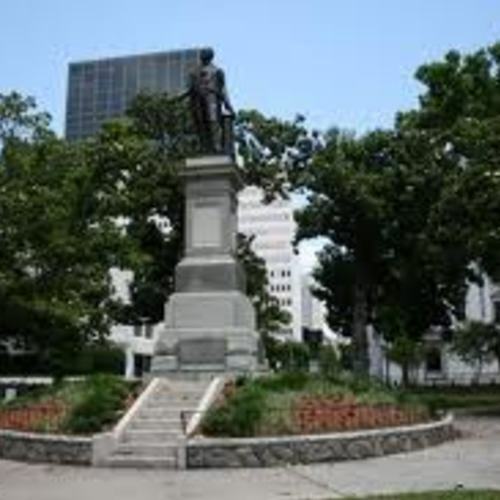 Location: Bound by St. Charles Ave., Camp St., North Maestri St., and South Maestri St.
Additional Information: Lafayette Square, a 2.5 acre park, is located directly across from Gallier Hall. This noted Greek Revival building, designed by architect James Gallier, Sr., served as City Hall for over 100 years. 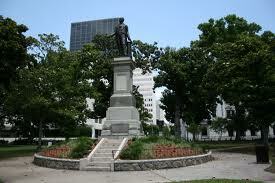 Known as a favorite gathering spot for concerts and festivals, including the free annual spring 12-week concert series Wednesdays at the Square external link and the annual fall free Harvest the Music external link, Lafayette Square is the second oldest square in New Orleans. It is still used for inaugurations and civic events. Designed in 1788 by Charles Laveau Trudeau, general surveyor of Louisiana under the Spanish government, it is also used for weddings, corporate events, filming, and parade-watching during Mardi Gras.